The GREEN MARKET ORACLE: WTF Rex Tillerson as Secretary of State! WTF Rex Tillerson as Secretary of State! Donald Trump's decision to give Exxon CEO Rex Tillerson run of the State department is the President-Elect's most egregious affront to the climate yet. That is saying a lot given the appointment of Scott Pruitt to head the Environmental Protection Agency (EPA). 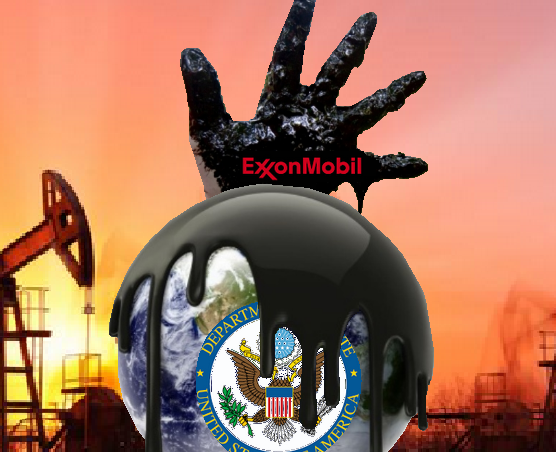 Exxon Mobil is now infamous for its climate subterfuge. Exxon's own scientific research revealed that they knew about the impacts of fossil fuels on the climate decades ago. Rather than act on this information they covered it up and worked to undermine the perceived veracity of climate science. Exxon has been very good to Tillerson including an alleged $180 million retirement package. Diehard optimists point to Tillerson's acknowledgment of anthropogenic climate change. However, this can be interpreted as a public relations ploy. This point is made conclusively by Exxon's ongoing efforts to find, extract and bring to market even more fossil fuels. This is at odds with even the most rudimentary understanding of climate science. We know that we cannot burn existing reserves if we are to stay within upper threshold temperature limits, let alone seek out and exploit new reserves. As stated above Tillerson may publicly accept the existence of climate change but as CEO of Exxon he was not prepared to do anything about it. As Tillerson explained in the past, “as a businessman, it is hard to speak favorably about any new tax,” However Tillerson did appear to favor a carbon tax over cap-an-trade calling the former, “a more direct, a more transparent and a more effective approach [than cap-and-trade]”. Exxon had an opportunity to put their money where their mouth is in 2009, but to no ones surprise they did not. Exxon was among the phalanx of fossil fuel companies that lobbied hard against the failed 2009 cap-and-trade bill. To shed further light on Exxon's duplicity consider the truth behind Exxon's claim that they have stopped funding some climate denial groups. 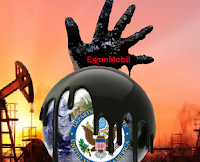 While Exxon pays lip service to anthropogenic warming and has stopped funding some of the most extreme groups, they continue to actively fund organizations that lobby against climate action including carbon taxes.